Pinnacles National Park is an American national park protecting a mountainous area located east of the Salinas Valley in Central California, about five miles (8.0 km) east of Soledad and 80 miles (130 km) southeast of San Jose. The park's namesakes are the eroded leftovers of the western half of an extinct volcano that has moved 200 miles (320 km) from its original location on the San Andreas Fault, embedded in a portion of the California Pacific Coast Ranges. Pinnacles is managed by the National Park Service and the majority of the park is protected as wilderness. The national park is divided by the rock formations into East and West Divisions, connected only by foot trails. The east side has shade and water, the west has high walls. The rock formations provide for spectacular pinnacles that attract rock climbers. The park features unusual talus caves that house at least 13 species of bats. Pinnacles is most often visited in spring or fall because of the intense heat during the summer. Park lands are prime habitat for prairie falcons, and are a release site for California condors that have been hatched in captivity. Pinnacles was originally established as a national monument in 1908 by President Theodore Roosevelt, and was redesignated as a national park by Congressional legislation in 2012 that was then signed into law by President Barack Obama on January 10, 2013. Native Americans in the Pinnacles region comprised the Chalon and Mutsun groups of the Ohlone people, who left stone artifacts in the park. These native people declined with the arrival of the Spanish in the 18th century, who brought novel diseases and changes to the natives' way of life. The establishment of a Spanish mission at Soledad hastened the area's native depopulation through disease and dispersion. Archaeological surveys have found 13 sites inhabited by Native Americans, 12 of which antedate the establishment of the missions. One site is believed to be about 2000 years old. The last Chalon had died or departed from the area by 1810. From 1810 to 1865, when the first Anglo-American settlers arrived, the Pinnacles region was a wilderness without human use or habitation. By the 1880s the Pinnacles, then known as the Palisades, were visited by picnickers from the surrounding communities who would explore the caves and camp. The first account of the Pinnacles region appeared in print in 1881, describing the Balconies area. Between 1889 and 1891, newspaper articles shifted from describing excursions to the "Palisades" to calling them the "Pinnacles". Interest in the area rose to the point that the Hollister Free Lance sent a reporter to the Pinnacles, followed two months later by a party of local officials. Investors came from San Francisco to consider placing a resort hotel there, but the speculation came to nothing. In 1894, a post office was established in Bear Valley. Schuyler Hain was the postmaster. Since at least one other Bear Valley was in California, the post office was named "Cook" after Mrs. Hain's maiden name. In 1924, the post office was renamed "Pinnacles". Schuyler Hain was a homesteader who arrived in the Pinnacles area in 1891 from Michigan, following his parents and eight siblings to Bear Valley. His cousin, A.W. White, was a student at Stanford University, and White brought G.K. Gilbert, one of his professors, to see the Pinnacles in 1893. Dr. Gilbert was impressed by the scenery, and his comments inspired Hain to publicize the region. Hain led tours to Bear Valley and through the caves, advocating the preservation of the Pinnacles. Hain's efforts resulted in a 1904 visit by Stanford president David Starr Jordan, who contacted Fresno Congressman James C. Needham. Jordan and Needham, in turn, influenced Gifford Pinchot to advocate the establishment of the Pinnacles Forest Reserve to President Theodore Roosevelt, who proclaimed the establishment on July 8, 1906. Pinchot, who was primarily interested in the management of forests for productive use rather than for preservation, advocated the use of the recently passed Antiquities Act to designate the scenic core of the area as Pinnacles National Monument, which was done by Roosevelt on January 16, 1908. This designation nominally passed control of the Pinnacles from the Department of Agriculture to the Department of the Interior, but the U.S. Forest Service retained effective control of the area until circa 1911. In his efforts to promote the Pinnacles, Hain became convinced that the Pinnacles were an "extraordinary mountain" described by Captain George Vancouver and pictured by John Sykes in his book Voyage of Discovery, which documented the Vancouver Expedition. Hain began to refer to the mountain as "Vancouver's Pinnacles", a term that was picked up by Sunset in a 1903 article. References to "Vancouver's Pinnacles" persisted until 1955, when analysis of the Sykes picture indicated that the mountain described by Vancouver was actually located near Fort Ord, within easy reach of the day trip described by Vancouver. First set aside as part of the Pinnacles Forest Reserve in 1906, Pinnacles has had several different federal management agencies, ranging from the U.S. Forest Service to the General Land Office and ultimately to the National Park Service. In 1908 President Theodore Roosevelt created Pinnacles National Monument with the power given him in the Antiquities Act of 1906. The initial area designated under the Antiquities Act was 2,080 acres (840 ha). The Forest Service relinquished control of the monument circa 1911, but no operating agency yet existed to receive it. No drivable roads existed into the park from communities like Hollister. Hollister boosters campaigned for federal funds for road-building. Congressman Everis A. Hayes made a trip into the Pinnacles in 1913 as part of the campaign for road funds. By 1914, primitive roads extended to Bear Valley. The National Park Service was finally established in 1916, but Pinnacles was not considered significant enough to command any Park Service resources at that time. In the meantime, a mining claim disrupted access to the traditional picnic grounds. In 1922, following repeated pleas from local residents for Park Service action, W.B. Lewis, superintendent of Yosemite National Park, was directed to visit Pinnacles and report on the circumstances to Park Service director Stephen Mather. Lewis had a difficult trip and stayed only 45 minutes, and his report included a recommendation that the monument be abandoned, since the most scenic sections were in private hands. The General Land Office, which administered lands surrounding the national monument and what was then known as Monterey National Forest, also received complaints, and in December 1922, J.H. Favorite of the GLO made a thorough report which was copied to Mather. Favorite recommended that public-domain lands be consolidated into the monument, and that a caretaker be appointed from a local homestead. In 1923, Herman Hermansen was appointed caretaker, and on May 7, 1923, the monument was enlarged by proclamation of President Warren G. Harding. Mather finally visited the monument on March 28, 1924. A further proclamation, this time by Calvin Coolidge, enlarged the monument on July 2, 1924, securing water sources and campsites, was followed by a directive for a complete survey of the now-2,973-acre (1,203 ha) monument. Following a visit by NPS assistant director Horace M. Albright, money was appropriated to build a ranger's cabin, completed in 1929, while facilities within the caves were improved. Frank A. Kittredge, the Park Service chief of engineering, and Thomas Chalmers Vint, Park Service landscape architect, conducted a survey for a five-year improvement plan in 1927. In 1929, condemnation proceedings were filed against private landowners in and around the park, including the mining company, seeking 1,286.27 acres (520.54 ha). An expansion proclamation by President Herbert Hoover in 1931 added 1,926.35 acres (779.57 ha) of land donated by San Benito County. Trail building was expanded in the early 1930s, including a tunnel for the High Peaks Trail. In 1933, a Civilian Conservation Corps camp was established for about 200 men who worked on additions to the trail network. After lengthy legal proceedings, the old mining claims were incorporated into the monument in 1958. CCC laborers improved the road in Bear Gulch, built tourist cabins, and constructed the dam at the Bear Gulch reservoir. A fire lookout was built by the CCC on Chalone Peak in 1935, but was destroyed by fire in 1951 and replaced by a frame structure the following year. The park's visitor center and headquarters were built in 1936–37 from local stone. A superintendent's residence was started in 1941 and completed in 1949. The Mission 66 project added lands and new projects, with an emphasis on development of the previously undeveloped west side of the park. In 1975, the park comprised 16,721 acres (6,767 ha), growing to the present 26,606 acres (10,767 ha) through a series of additions including the 2,000-acre (810 ha) Pinnacles Ranch. The most recent addition to the Pinnacles National Monument was president Bill Clinton's Proclamation 7266 that increased the size of the monument by 7,900 acres (32 km2) and to include more caves. Legislation authored by Rep. Sam Farr (D-California) to make Pinnacles National Monument a national park passed the United States Senate on December 30, 2012, having passed the House on July 31, 2012. The bill also designates the present Pinnacles Wilderness as the Hain Wilderness in commemoration of Schuyler Hain's efforts to establish the national monument. The legislation was signed by President Barack Obama on January 10, 2013. The change in designation does not change the park's status, management, or purpose. Congress specified in the 1970 General Authorities Act and the 1978 Redwood Act that all units of the National Park System are to be treated on equal status, regardless of title. Pinnacles is the ninth unit in the National Park System in California to be named a national park. Pinnacles National Park lies about 40 miles (64 km) inland from the Pacific Ocean and about 80 miles (130 km) south of the San Francisco Bay Area. 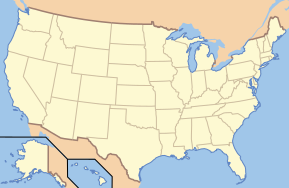 The park is in the southern portion of the Gabilan Range, part of California's Coast Ranges. Elevation within the boundaries range from 824 to 3,304 feet (251 to 1,007 m) at the peak of North Chalone Peak. The climate is borderline Mediterranean (Csa/Csb) and semiarid (Köppen: BSk/BSh), with extreme diurnal temperature variation. Winters have moderate rainfall, mild highs, and cold lows; summers are extremely dry and have very hot days and very cool nights. The Santa Lucia Mountains lie between the park and Pacific Ocean, blocking the ocean’s moderating influence on diurnal temperature swings. In comparison to the nearby coast, temperatures have a much larger daily range of 30 to 50 °F (16.7 to 27.8 °C) depending on season. The typical rainfall is about 17 inches (430 mm) per year. Snow can fall in small amounts at higher elevations between mid-December and January. The National Weather Service has a cooperative weather station at the park headquarters. January temperatures are a maximum of 60.8 °F (16.0 °C) and a minimum of 32.7 °F (0.4 °C). July temperatures are a maximum of 95.5 °F (35.3 °C) and a minimum of 50.3 °F (10.2 °C). The record high temperature was 116 °F (47 °C) on July 15, 1972. The record low temperature was 10 °F (−12 °C) on January 2, 1960, and December 22, 1990. Average annual precipitation is 16.55 inches (420 mm). The wettest calendar year was 1983 with 35.80 inches (909 mm) and the driest 1947 with 6.08 inches (154 mm). The most precipitation in one month was 10.56 inches (268 mm) in March 1983. The most precipitation in 24 hours was 4.74 inches (120 mm) on February 3, 1998. The most snowfall in one month was 7.0 inches (18 cm) in January 1962. The park lies within the California interior chaparral and woodlands ecoregion. The vegetation is about 80% chaparral with woodlands, riparian, and grasslands merged into the chaparral. The diversity of intersecting ecosystems and altitude has led to great number of animal species that call the park home. The park is located near the San Andreas fault, which had a hand in creating the unique formations the park protects. The Pinnacles are part of the Neenach Volcano which erupted 23 million years ago near present-day Lancaster. 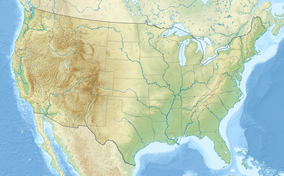 The movement of the Pacific Plate along the San Andreas fault split a section of rock off from the main body of the volcano and moved it 195 miles (314 km) to the northwest. It is believed that the pinnacles came from this particular volcano because of the unique breccias that are only found elsewhere in the Neenach Volcano formations. Differential erosion and weathering of the exposed rock created the Pinnacles that are seen today. The rock formations are andesite and rhyolite, forming a dropped fault block embedded in the Gabilan Range. Large-scale earth movement also created the talus caves that can be found in the park. Deep, narrow gorges and shear fractures were transformed into caves by large chunks of rock falling from above and wedging into the cracks, leaving an open area below. Since the Pinnacles were moved to this area, the San Andreas fault has shifted four miles (6.4 km) to the east of the park. 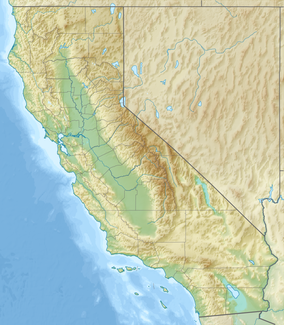 The original location of the San Andreas can be seen in the Chalone Creek fault. Two other large faults are known to run through the park, the Miner's Gulch and Pinnacles faults. These faults parallel the San Andreas and were most likely caused by major movements of the main fault. The establishment of the relative movement between the Pinnacles and the Neenach rocks was a significant factor in the acceptance of plate tectonics in geology. Seismic activity is frequent in the park, and United States Geological Survey maintains two seismometers within the boundaries. Evidence of past and ongoing seismic activity can be seen in offset streams where they cross faults. Valley bottoms and terraces show signs of uplift. Prairie falcons breed in this area in some of the highest densities of anywhere in North America. Peregrine falcons have recently returned to the park to breed, also, but in far fewer numbers. 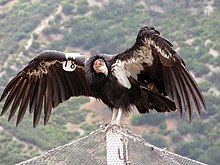 A California condor re-establishment program has been in place since 2003. The first nest since reintroduction was built in 2010, and Pinnacles now manages a population of 25 free-flying condors. Mammals and birds that inhabit this park include prairie falcon, coyote, skunk, great horned owl, bobcat, California quail, raccoon, wild turkey, gray fox, golden eagle, and cougar. Formerly native animals, now vanished from most of central California, included tule elk and pronghorn. Grizzly and black bears were in the area until the end of the 19th century. Like many parks in central California, Pinnacles has had a small problem with wild pigs (a mix of feral domestic pigs and imported wild boars) disturbing the landscape on a regular basis. As of spring 2006, the core of the park was pig-free. The culmination of a twenty-year, $1.6 million effort had succeeded in eradicating pigs from the main area of the park. National Park Service personnel along with IWS worked to remove pigs from inside the park, and establish and monitor an exclusionary pig fence that runs for approximately 26 miles (42 km) around the center core of the park. Outside this fence, however, wild pigs still roam in regular abundance. Current monitoring for potential breaks and breaches in the fence is needed to ensure that the pigs do not return to devastate the park. Thirteen species of bats have been documented at Pinnacles, with a further three species considered likely. The park's talus caves provide roosting and breeding habitat for the bats. In the 1990s, a student biologist, Olivia Messinger, did a census of bees at Pinnacles. She found that the park has more bees per unit area than known anywhere else on earth, around 400 species. Most of these bees are solitary bees, not living in colonies like European honeybees, and most live for only three to four weeks, and since flowers bloom here throughout the growing season, many niches are available for all the bee species. In the warmer portions of the park, large areas of greasewood cover slopes, along with manzanita, gray pine, canyon live oak, and blue oak. Cooler portions of the park have higher proportions of pines and oaks, together with California buckeye, hollyleaf cherry, and coffeeberry. Willows and elderberries are found along the intermittent streams. Fire has been a dominant influence on the region's flora, both from natural causes and from intentional intervention by people. When the region was inhabited by Native Americans, they used fire as a tool to encourage the growth of preferred food sources, and to herd small game during hunting. Since the disappearance of native peoples, the hills have become brushier. More than 80% (15,985 acres or 6,469 hectares) of the park is designated as the Hain Wilderness (known until 2013 as the Pinnacles Wilderness). Wilderness designation provides even higher protection for the rock spires that give Pinnacles its name, as well as South Chalone Peak, the second-highest peak in the park. The wilderness includes the creeks and canyons that are habitat for the endangered California red-legged frog. The United States Congress in 1976 enacted Public Law 94-567, adding Pinnacles Wilderness and several others to the National Wilderness Preservation System. Although roads approach the park from the west through Soledad and from the east through empty lands south of Hollister, the roads do not connect in the park. Most of the developed areas are on the east side of the park. Several trails have been developed for day hikers, some of which are strenuous. Primarily in March and April, a wide variety of wildflowers is on display, except in years of extreme drought. The trails provide views of the surrounding hills and valleys on clear days. The San Andreas Fault is visible from some vantages along the trails. The park includes a well-known hiking portion known among enthusiasts simply as "The Pig Fence". This portion of South Wilderness Trail is a challenging stretch of strenuous hiking that at times requires use of the fence, erected to prevent feral pigs from entering the park, to help oneself to climb the steeply pitched trail. Other trails include lush wildflower-accented views along flat stream beds, trails that bring one into beautiful caves, and trails that involve high vistas of the Pinnacle formations. The park is popular with advanced rock climbers due to the many difficult and challenging climbs. 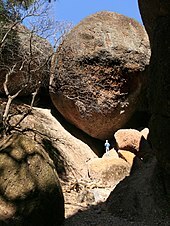 The caves at Pinnacles are talus caves, formed when steep, narrow canyons were filled with boulders, leaving passages between the larger rocks. Bear Gulch Cave on the east side of the park and Balconies Cave on the west side are seasonally open to visitors. Trails lead to and through both caves. These caves house breeding colonies for Townsend's big-eared bat and are closed during pupping season. The caves may be flooded at times of high water. The National Park Service maintains a webpage showing the status of the caves. Camping facilities are available on the east side in the Pinnacles Campground. ^ "Listing of acreage as of December 31, 2012". Land Resource Division, National Park Service. Retrieved 2013-09-22. ^ Oberg, Reta R. (1979). "Administrative History of Pinnacles National Monument" (PDF). National Park Service. pp. 4–5. Retrieved 14 January 2013. ^ "History & Culture". National Park Service. Retrieved 4 March 2013. ^ "Draft General Management Plan and Environmental Assessment, Pinnacles National Monument". National Park Service. October 2012. ^ a b Molnar, Phillip (December 31, 2012). "Bill creating Pinnacles National Park awaits Obama's signature". Monterey Herald. Retrieved 3 January 2013. ^ Simon, Richard (December 31, 2012). "Pinnacles National Monument set to become a park". Los Angeles Times. Retrieved 3 January 2013. ^ An Act to improve the administration of the national park system by the Secretary of the Interior, and to clarify the authorities applicable to the system, and for other purposes. Pub.L. 91–383, H.R. 14114, 84 Stat. 825, enacted August 18, 1970. ^ An Act to amend the act of October 2, 1968, an act to establish a Redwood National Park in the State of California, and for other purposes. Pub.L. 95–250, H.R. 3813, 92 Stat. 166, enacted March 27, 1978. ^ 16 U.S.C. § 1a-1, National Park System: administration; declaration of findings and purpose. ^ Rogers, Paul (January 10, 2013). "Obama elevates Pinnacles National Monument south of Bay Area to full national park status". San Jose Mercury News. Retrieved 10 January 2013. ^ a b c d e f g h i "Pinnacles NM, California". Western Regional Climate Center. Retrieved June 27, 2013. ^ "CA Pinnacles NM". National Oceanic and Atmospheric Administration. Retrieved June 27, 2013. ^ a b c d "Faults". Pinnacles National Monument. National Park Service. Retrieved 7 January 2013. ^ a b Alt, David; Hyndman, Donald W. (2000). Roadside Geology of Northern and Central California. Mountain Press. pp. 181–183. ISBN 978-0-87842-409-2. ^ Fimrite, Peter (10 March 2010). "First condor nest in Pinnacles in 100 years". San Francisco Chronicle. Retrieved 9 January 2013. ^ Rogers, Paul (October 11, 2016). "California condors: Chick born in wild flies from nest at Pinnacles National Park for first time in a century". The Mercury News. Retrieved 14 October 2016. ^ "Pinnacles Condor Program". Pinnacles National Monument. National Park Service. Retrieved 9 January 2013. ^ "Animals". Pinnacles National Monument. National Park Service. Retrieved 7 January 2013. ^ Grinde, Alexis R.; Sweitzer, Rick A. "Vegetation Monitoring after Wild Pig Removal at Pinnacles National Park" (PDF). National Park Service. Retrieved 15 January 2013. ^ "Bat Inventory of Pinnacles National Park" (PDF). National Park Service. Retrieved 15 January 2013. ^ "Wilderness - Pinnacles National Park (U.S. National Park Service)". www.nps.gov. ^ Forgione, Mary (January 14, 2013). "California: Pinnacles National Park is nation's newest park". Los Angeles Times. Retrieved 16 January 2013. ^ Johnson, Elvin R.; Cordone, Richard P. (1992). Pinnacles Guide: Pinnacles National Monument, San Benito County, California. Glendale, CA: La Siesta Press. ISBN 91-0-856715-8. ^ "Cave/Karst Systems". Pinnacles National Park. National Park Service. ^ "Balconies Cave in Pinnacles National Park". hikespeak.com. hikespeak.com. Retrieved 2016-12-18. ^ "Bear Gulch Cave Trail and Moses Spring Trail to Bear Gulch Reservoir in Pinnacles National Park". hikespeak.com. hikespeak.com. Retrieved 2016-12-18. ^ "Status of the Caves". Pinnacles National Park. National Park Service. Retrieved 2016-12-18. ^ "Camping at Pinnacles". Pinnacles National Monument. National Park Service. Retrieved 7 January 2013. This page was last edited on 18 April 2019, at 20:41 (UTC).